Melior Motion offers high precision gearboxes, which with a backlash of ≤ 0.1 arcmin are considered backlash-free. With our patented solution for wear regulation, we ensure that this does not change over the entire service life. More safety for your application is offered by low-backlash gearboxes thanks to high output, acceleration and emergency stop moments. 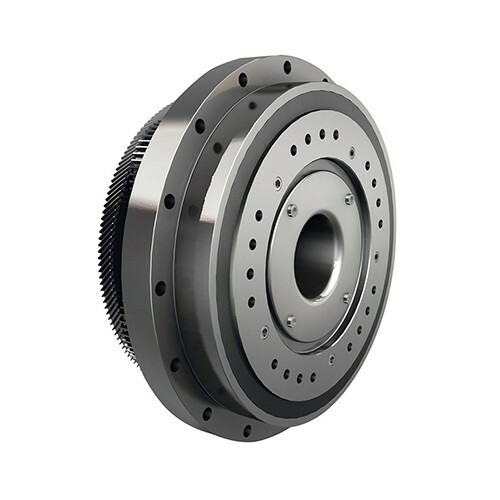 Our gearbox series has exceptionally high tilting and torsional stiffness. These ensure precise positioning straight-to-the-point. 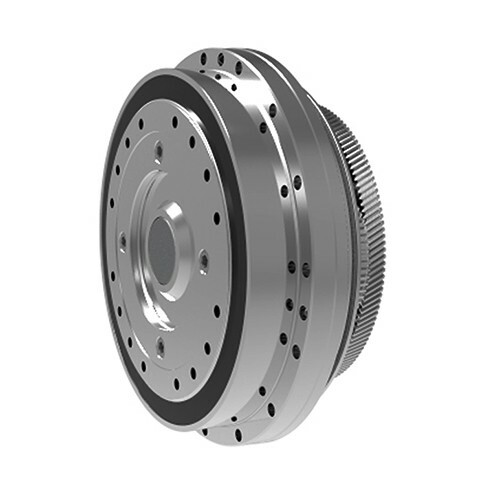 Our low-backlash precision gearboxes achieve a particularly high performance level thanks to multiple simultaneous teeth engagement (sun gear, planetary gears and ring gear). The efficiency of> 90% and the extremely low breakaway torque ensure outstanding energy efficiency. Thanks to the high efficiency, the transmission temperature remains consistently low, extending the operational life of the oil seals, transmission components and lubrication. The result is an impressive life of 20,000 hours. This is much more than is possible with other designs of precision gearboxes and has been verified in numerous tests. At the same time, the unique design of our low-backlash precision gearbox ensures extremely quiet operation. The noise in the work environment is thus reduced. Not only quiet but also precise, the sub-assemblies even work effectively at low torque, allowing small movements to be precisely controlled. Hollow shafts with a diameter of up to 75 mm allow, for example, the feed-through of data or supply lines. The gear design of our products allows for the use of standard transmission oils, and are also suitable for use with food-compatible lubrication. The PSC-V / H-E sub-assemblies are also suitable as high precision gear units with output flange for your highly specialised applications. The application of PSC sub-assemblies is commonly used in robotics, where the connection to the motor can be incorporated into the design of the robot arm, to optimise space and cost. Further applications for this design option can be found in automation, machine tools, printing industry, packaging machines, rotary tables, medical technology, and more.